Open Pharma reached the finals of the Community Partnership of the Year Award category at this year’s prestigious Scrip awards. Open Pharma was launched in 2015 with the aim of bringing together stakeholders across medical publishing, including open science advocates, publishers, doctors, patients and pharmaceutical companies. By facilitating discussions and promoting education on key open science topics, and identifying easy steps that all stakeholders can take towards common goals, Open Pharma has been able to create real change. 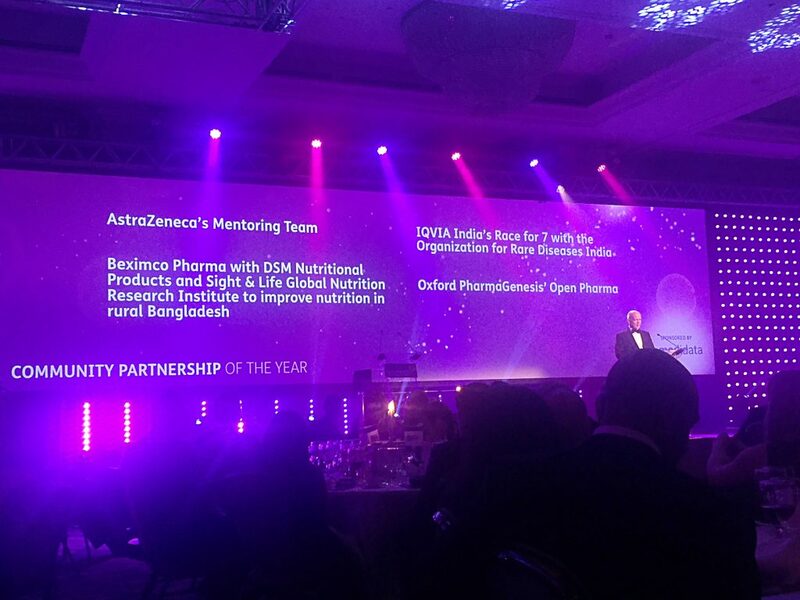 The award was ultimately won by Beximco Pharma for their work with the Centre for Human Nutrition and the Sight and Life Global Nutrition Research Institute at Johns Hopkins University Bloomberg School of Public Health and the JiVitA Maternal and Child Research Institute of Johns Hopkins University, Dhaka, Bangladesh. This was a well-earned award, and Open Pharma feel proud to have been nominated beside such a prestigious project. Open Pharma is grateful for the support it receives from its members and supporting institutions, without which the project would not be possible. If you want to find out more about Open Pharma, or are interested in following the latest news in open science, check out our blog site: https://openpharma.blog/. Here you can subscribe for weekly updates and get in touch. You can also follow us on Twitter @_OpenPharma.